Domestic cleaning can be a stressful task for those of us who have busy careers, families and run on a tight schedule. Top Notch Cleaners can take some of that stress away by offering regular domestic cleaning services. 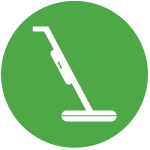 We offer regular cleaning services on a weekly, fortnightly or a monthly basis. Our cleaning services have been tried and tested by a large number of customers with complete satisfaction. Our domestic cleaners in London have plenty of experience and always deliver their services with a smile! Housekeeping service is designed for someone who wants to delegate to professionals more than just the cleaning chores. Things like sorting out ones’ wardrobes, picking up/dropping off dry-cleaning, cooking some basic meals, etc. could be done by our housekeepers for £15.00 per hour. Each housekeeper we allocate has to go through a stringent interview process, so we are able guarantee experience, reliability, flexibility and of course compatibility. We can offer eco-friendly cleaning solutions for your home and office. We have tried and tested a lot of different brands of products and can recommend effective eco-friendly cleaning products that are healthy and non-toxic (both for your family and the environment). Just ask us about our “Eco Cleaning” service to get our expert advice on it. The dust and dirt that builds up in every corner while builders are around is sometimes unbearable and needs a speedy resolution. We offer a deep & thorough clean on short notice for any type of property. The cleaning process focuses on cleaning all surfaces and floors, including the inside of cupboards and wardrobes. Depending on how rigorous the cleaning must be we need a minimum of six or more hours per visit to ensure good results. We will be happy to advise you with an estimate and discuss all essential details. This is our one-off cleaning service, which is great for people who are moving into a new home or moving out of rented accommodation and awaiting inventory check. The service includes a deep clean inside cupboard, oven, fridge and overall intensive clean of bathrooms, all surfaces and floors. We have our own checklist that includes all tasks to do, however, this can be amended according to your requirements or according to a list provided by your landlord or property agents. If you are managing a residential block, an office or a commercial property, Top Notch Cleaners can support you and provide cleaning solutions individually tailored to your business. We provide communal area cleaning for blocks of flats and commercial premises. Top Notch Cleaners provides these services to many clients across London at very competitive prices. 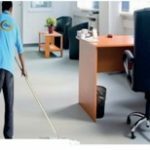 Top Notch Cleaners has over 10 years' experience in residential and commercial cleaning and we understand the industry more than our competitors. 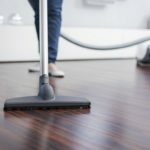 A session of professional Spring Cleaning by the Top Notch Cleaners is the best thing you can do for your home after a long winter. We offer a comprehensive spring cleaning covering every inch of your home. Our services are always delivered with a smile by our professional cleaners. The spring cleaning service is quite flexible and can be booked as a one-off cleaning appointment or it can be ordered in combination with another of our services. We offer a full service on Domestic and Commercial Carpet Cleaning and Upholstery Cleaning. Our professionally trained technicians use an effective and fast-drying system that is non-toxic for children and pets. We also offer antibacterial protection. Holidays are coming to an end and it’s time to come home? We can help and make the experience of coming back home a little more exciting by providing our “Post Holiday” service. Returning to a clean and organized home just adds to the pleasure of taking a holiday, right? We can provide cleaning of your house for your return, as well as an extra security for all the time that you are away by monitoring your house as often as you require. We can also water your garden or even restock your fridge with all the essentials. Copyright © 2016 TopNotchCleaners. All Rights Reserved.